NASA-NOAA’s Suomi NPP satellite passed over the eye of Typhoon Trami as it continued moving through the Northwestern Pacific Ocean. On Sept. 27, 2018, the Visible Infrared Imaging Radiometer Suite (VIIRS) instrument aboard NASA-NOAA’s Suomi NPP satellite a visible image of Trami. VIIRS infrared imagery showed a wide and ragged eye and deep convection and developing thunderstorms around. That thunderstorm development increased during the morning hours. 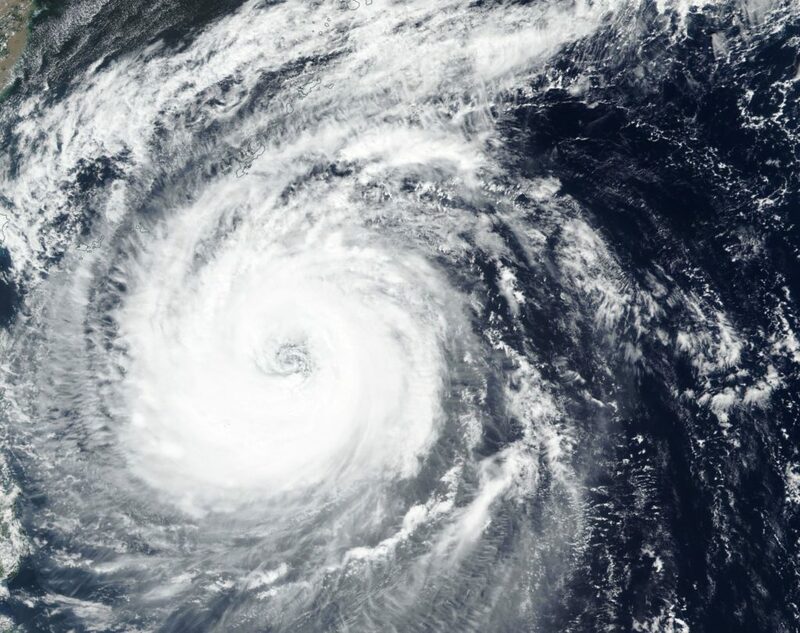 At 11 a.m. EDT (1500 UTC) on Sept. 27, the eye of Typhoon Trami was located near latitude 22.2 degrees north and longitude 128.6 degrees east. That’s about 275 miles south-southeast of Kadena Air Base, Okinawa Island, Japan. Maximum sustained winds were near 90 knots (103.6 mph/166.7 kph). The Joint Typhoon Warning Center or JTWC noted that “Trami remains in a weak steering environment while in between a subtropical ridge (elongated area of high pressure) located to the west and a second subtropical ridge located to the east.” Trami is expected to eventually move to the northeast but it is forecast to re-intensify before weakening.